Cycling with another adult on the back of a bike is not easy to do, but the people of the Netherlands certainly make it seem so. My guess is that it's a consequence of starting to cycle at a young age. Kids are fearless, creative and, you know, stupid. 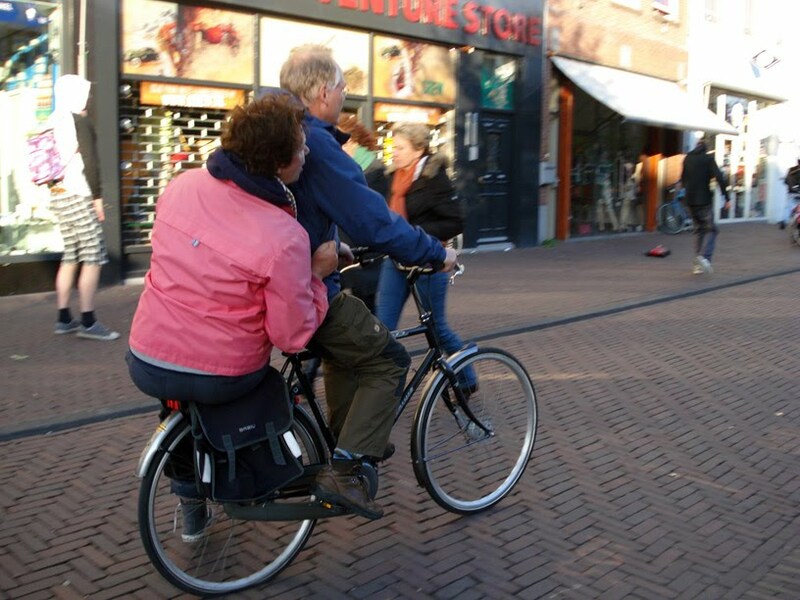 After years of practice they can cycle with no hands, while eating breakfast, or with their friend on the back. And they can also hitch a ride from their friend who is pedaling away without even holding on. It's hard to do... Or not, see the guy behind the blond. I agree with you that what they (esp. those in the Nordic and Asian countries) do while riding on their bikes seems so easy because they and their bodies 'got very familiar' with their bikes from a very young age. What U.S. Americans would categorize as 'stunts', to them (the Nordics & Asians) they are just an everyday ordinary 'happenings'. 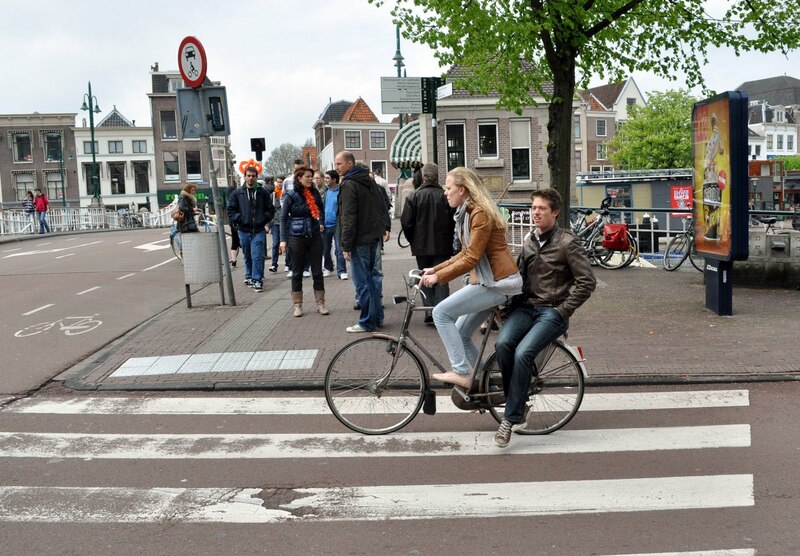 Not that anyone should follow silly rules, but riding on the back is illegal in Denmark and Germany, among others. But also bike design here in Germany is related to this, or forms a causality circle: Lots of somewhat flimsy bikes with smaller wheels than on typical Dutch bikes (feet threaten to drag), also a bit more aggressive posture, and very flimsy rear racks... and to make it impossible to carry someone at the back there is unfortunately a trend to be to zip tie a really cheap basket onto the rear rack. And... who needs friends? I would say that about 1/3 to 1/2 half of cyclists here stay on their bike and ride slowly whilst accompanying a walking friend. I hate that, and not only that, it is anti-German Cult of Speed (which applies to all forms of mobility, and cyclists expect you to walk in a straight line).